Mayor Cerino presented the 2018 Report of Municipal Affairs. Mayor Cerino asked if there were any additions or corrections to the minutes of the Mayor and Council Meeting of January 7, 2019. Mr. Stetson moved to approve the minutes as submitted, was seconded by Rev. Tolliver and carried unanimously. Mayor Cerino stated that total operating cash on hand for unrestricted use was $1,327,249.67. The restricted funds for the Marina project were spent paying down the line of credit that was used during construction. Ms. Carolyne Grotsky was present to discuss the Good Seeds Project. She said that parents from the Garnet School asked if Curb appeal could help with landscaping to liven up the school’s exterior. Ms. Grotsky stated that along with volunteers, parents at the school, and the Town (who provided soil and mulch) made some landscaping changes. Ms. Grotsky stated that she then formed a committee with members of the Garden Club and parents of Garnet Elementary. She introduced Darran Tilghman and Krista Lamoreaux (parents of students at Garnet), and Connie Schroth (Horizons). She said that other members were Barbara MacBeth, Diane Coulter and Karen O’Conner (Garden Club). Ms. Grotsky stated that after the committee was formed, she went to the Susen Fund (as a trust left by Shirley Susen) for educational purposes with the thought that this was a good use of those funds. She presented the landscape design and described how the environmental literacy was now part of the curriculum for the students. Ms. Grotsky stated that the project was then presented to the Kent County Commissioners and the Kent County School Board who gave their support. Ms. Tilghman stated that this project was named “The Garnet Good Seeds Gardening Project” to honor Henry Highland Garnet. She said that they found a quote of his that read, “In every man’s mind good seeds of liberty are planted” and thought that was a great way to honor Henry Highland Garnet and the legacy of the school. Ms. Tilghman showed a PowerPoint presentation with photos of the site before any work was done, the work that was done to date and drawings showing what was proposed. Ms. Lamoreaux stated that Miles Bernard of Southfork Studios Landscape Design donated the landscape plan, which was mainly native plants with some medicinal plants and herbs. It was designed to become a habitat for birds. Shore Rivers has volunteered to install a rain garden along the back side of the property and were currently working on the design. Ms. Tilghman stated that the plans encompass the entire Calvert Street facade and wrap around to College Avenue. The Kent County Commissioners have volunteered to purchase and install trash and recycling receptacles for the project. The Town of Chestertown will donate and install the brick feature at the front entrance. Curriculum will be included as part of the project as well as murals and places for learning. Ms. Tilghman stated that the hope was that by beautifying the exterior a message will be sent that there are great things happening at Garnet Elementary. The Garden Club has agreed to long term maintenance of the project. Ms. Schroth stated that once the native plants establish themselves, they will not require much maintenance. The most work will be in the first couple of years when the plantings were new. The Shirley Susen fund gave $5,000.00 in seed money while the committee looks for grant funding and donations to finish the project. Ms. Grotsky stated that Mr. Bob Ramsey donated the story boards in order to present the plans to various Boards and Commissions in Kent County. Volunteers and donors were needed, and they hoped for great participation from the community. Ms. Tilghman stated that there will be a Community Launch Event on January 30th from 5:30 to 6:30 p.m. at the Library’s yellow building. She said that they hoped to break ground and have the first phase installed by Earth Day on April 22, 2019. Mr. Ingersoll stated that thousands of bricks were removed from the marina site to be recycled before the renovation project could destroy them. Some of those bricks would be used for the round feature planned at the Garnet entrance doorway. He said that it was a good reuse of the material and a wonderful project for the community. Ms. Schroth stated that they were also working with the extension office to make sure that the trees will contribute as pollinators while providing shade and habitat for birds. Mr. Ingersoll stated that the Chestertown Tree Committee has often discussed the need for street trees at Garnet. Chief Baker gave the report for December 2018 as well as the 2018 Annual Police Report. He said that an overtime chart was provided to the Council and that currently the department was two (2) officers short. Mr. Stetson stated that there were calls for service listed as “K-9 Training” and asked how that was a call for service. Chief Baker stated that was for work with another agency and he was trying to account for the hours. Mr. Stetson suggested that those hours be put under training. Chief Baker stated that three (3) officers left the agency this year, one (1) retired in September and two (2) officers left for other agencies. A new officer has been hired and has just finished field training. He said that the candidates he made conditional offers to after the last meeting in December did not successfully complete the process. He said that he was able to hire two (2) people, both local to the area, who began the Police Academy on January 3rd. He said they are doing a fantastic job so far. Graduation will be in June 2019 followed by a month of field training. Once the officers finish field training the Police Department will be at full staff. Chief Baker stated that the annual report featured K-9 Henzo on the cover. He served for seven (7) years on the force and enjoyed a year of retirement before he passed away earlier in 2018. He said that in 2018 there were four thousand one hundred sixty-eight (4,168) calls for service, which amounted to twenty-seven (27) more arrests than last year. There were one hundred ninety-five (195) adult arrests with the most common charges for CDS, assault and theft. There were fourteen (14) juvenile arrests with twenty-four (24) charges, assault being the most common. There were twenty-two (22) civil citations issued, mainly for open container. There were twelve (12) arrests for driving under the influence and eighteen (18) CDS arrests. There were three hundred ninety-seven (397) traffic citations and two thousand five hundred fifty-six (2,556) warnings issued. There were one hundred three (103) Part I crimes, 58% which were cleared by arrest. There were two hundred twenty-three (223) Part II crimes with one hundred eighty-one (181) cleared by arrests, which amounted to 80%. The K-9 numbers included the different drugs and amounts of drugs that were confiscated during the year. The average Redspeed tickets issued for each month was two hundred thirty-six (236). He said that the Chestertown Police Department participates in the Kent County Narcotics Task Force and those figures were also included in the report. Chief Baker stated that the department received new furniture for the officers’ room this year. He said that they were members of the Federal Government Property Opportunity and that furniture was acquired from an Army recruiting station in Towson that was renovating their offices. Chief Baker stated that when the Town began the next budget, he would be requesting funds for additional cameras as he thought more should be added throughout the community. He noted that this was the way of the future in law enforcement. Mr. Ingersoll stated that the Town attorney filed a Petition to Intervene to the Public Service Commission for Case #9499 and received notice that the case has been postponed for failure of the applicant to meet all State requirements. This would allow time for the Washington County case, currently under appeal, to be resolved and hopefully, allow local jurisdictions to create and enforce their own zoning. Mr. Ingersoll stated that there was a permit request in for Chester Gras which would be held on Saturday, March 2nd beginning at 11:30 a.m. with a parade from Dixon Drive down High Street. A tent will be erected on Spring Avenue between High Street and Park Row at 8:00 a.m. on Saturday and removed by 4:30 p.m. This annual event benefits the Backpack Program and Community Food Pantry for Kent County. There were other requests of the Town on the permit, which were like other years such as use of the stage and waiving the open container law. Ms. Kuiper moved to approve the permit for Chester Gras on March 2, 2019 was seconded by Mr. Foster and carried unanimously. Mr. Ingersoll stated that there was a permit request for the 9th Annual Earth Day Festival on Saturday, April 20th from 8:00 a.m. to 1:00 p.m. Mr. Ingersoll read the requests of the event into the record, which were identical to last year’s request. Ms. Kuiper moved to approve the permit for the 9th annual Earth day on Saturday, April 20, 2019. Mayor Cerino stated that he, along with Mr. Foster, Mr. Ingersoll and Mr. Sipes attended a meeting with representatives of the Hospital to discuss the oil spill remediation efforts. Mayor Cerino gave an overview of the system that was put in place to recover the oil in the ground after a heating oil spill was detected in the late 1980s. He said that a few years back the Hospital indicated that only trace amounts of oil were being recovered through the pumps and began using a product called Iveysol, which was supposed to wash the oil from the soil and then pumps would remove all the surfactant and take the oil with it. An agreement was negotiated with the hospital where four (4) sentinel wells would be installed in strategic locations between the Hospital building and the Town’s well fields which would be monitored and tested on a monthly basis for detections. If any heating oil ever got to the sentinel wells, the Hospital would be responsible for installing new drinking water wells for the Town of Chestertown. Mayor Cerino stated that the Hospital reports that for some time now the detections have been so miniscule they are nearly undetectable (1 to 2 parts per million) and they felt any remaining oil would likely degrade long before it reached a drinking well. The Hospital would like to approach MDE to close out the remediation (pump and treat) project. This would involve turning off the pumps and monitoring the wells for two (2) years to see if any product was detected. If any detections occur at certain trigger levels, the pump recovery system would be reactivated. If no detection occurred, it would be possible that MDE may permit the Hospital to close out the entire operation. Mayor Cerino stated that the Town negotiated a separate agreement with the Hospital, independent of MDE, that the Hospital would test for a 3-year period to deem that oil was not going to hit the wells and that the levels of detection are so low that there is no threat to the water supply. Mayor Cerino stated that he appreciated the Hospital’s efforts to meet in good faith and said that at some point the data had to be honored so all parties could move forward. Mayor Cerino stated that Mr. Sipes appeared to be comfortable with the Hospital’s proposal which made him feel at ease with it. Mr. Foster stated that the reason there was such concern over this matter was because there was no way to know how much oil spilled before it was discovered; only that 80,000 gallons was recovered since. He said that it has been shown that 100% of any spill can never be removed, although it could be that bacteria takes care of some of a spill. Mr. Ingersoll stated that the fact that this was transparent, and the Hospital disclosed that they were going to approach MDE and include the Town in the results of their request was a good sign. He said that he appreciated the transparency of the Hospital and felt sure that the Town would know if any detects ever moved past the former cone of influence over the three (3) year agreement. He said that only one sentinel well had a very small detect over a year ago that could have been an anomaly. He said the Town’s attorney, Michael Forlini and the Hospital’s attorney, Michael Powell were also present at the meeting. Mayor Cerino stated that the Hospital believes that the pump and treat system has done all that could have been done over the past 30-years to manage the spill and the idea that there were natural processes eating away at the spill should be considered. Nobody knew how much oil was or is in the ground. He said that results from the sentinel wells would be intensely watched for the 3-year period if the Hospital’s request to end the pump and treat was permitted by MDE. Mayor Cerino stated on the Marina fundraising front, Chesapeake Bank and Trust donated $5,000.00 and may donate another $5,000.00 next year to have their name on one of the nine (9) pillars at the front of the facility. A $50,000.00 donation from the Ingersoll/Stevens family was received to name the plaza by Scott’s Point after a loved one. An anonymous donor gave $250,000.00 to name the Interpretive Center, with the condition that he agree the building have the Cerino name on it. Mayor Cerino stated that he could not thank the donors enough for their contribution to this project. He said that without the private donors it would have been impossible to finish the project and the line of credit would have never been paid down at this point. Mayor Cerino stated that everything that has been done to this point has now been paid for, which included an additional layer of paving by Bramble in the spring. Mayor Cerino stated that there were still a couple of things to do in order to finish the Marina. The largest issue was that when the boat ramp was installed an error was made through a difference of interpretation in reading the plans between the contractor and the engineer who designed it. He said that at a boat can’t be launched at low tide unless it can be launched by hand. There have already been some problems during low tides with trailers backing off the ramp. Mayor Cerino stated that another project was for the rest of the fuel line to be run to the end of the fuel dock. The big shed is going to be removed by a local farmer (at no cost to the Town). There were other things such as paving, which was being handled by USDA and setting up the office, etc. Mayor Cerino stated they approximately $200,000.00 had to be raised in order to finish the work. He said that Mr. de Mooy has someone lined up for March to correct the error on the ramp, which was about $120,000.00 thanks to DNR’s willingness to help get the costs down from $200,000.00 for that one project. Mayor Cerino stated that a coffer dam had to be installed to remove the lower fourth of the concrete to fix the ramp. Mr. Stetson asked if the line of credit was still available. Mr. Ingersoll stated that he thought the first thing to do was to see if USDA could add this cost on to the Town’s loan and, if they could not, the line of credit should be accessed. Mr. Stetson asked if there was an idea of how much revenue would come into the Marina per year. Mayor Cerino stated that was another piece in moving forward as the management had to be decided, along with an amount the Town was willing to spend. He said that Mr. Matt Tobriner has been involved since the beginning of the purchase of the Marina with the Port Study Committee and was now part of an informal committee he formed to discuss staffing and make recommendations on other things the Marina will need. One idea was to hire a management company and there were three (3) groups, Oasis, Coastal Management, and Safe Harbor. Mayor Cerino stated that the groups have been already been interviewed. Safe Harbor and Coastal Management were not interested as the Marina was too small for their business models. Oasis said that they would manage the Marina at a fee of $4,000.00 per month and/or about $50,000.00 per year to run the Marina. Oasis would hire a manager who would be given the authority to run the facility and hire others to work there. Oasis would also take a good amount of the revenue collected by slip fees. Mayor Cerino stated that he did not think that Chestertown could see a profit if Oasis took over management. Mayor Cerino stated that Safe Harbor suggested the Town have one (1) manager for the Marina and bring in summer help, which was what the Town had done since purchasing the marina. Mayor Cerino stated that he thought it was best to run the Marina as the Town has been since its purchase and keep 100% of the slip rentals. Mayor Cerino stated that the Town would have to hire an employee to keep the books to take pressure off current staff. Mr. Foster asked if the employee would also take care of marketing. Mayor Cerino asked Mr. Tobriner to name the members of the committee that was formed for the Marina. Mr. Tobriner stated that the members were he, along with Ray Tarrach, Doug Harwood, Tyler Buckley, Tom Mack and Peter Sweetser. Mayor Cerino stated that Ms. Miller has been handling the financial aspect of the Marina to date, which put additional stress on her daily work. He said that it was important for whoever became manager to be able to work with her on the business side of the Marina. Mayor Cerino stated that word was already out on the Marina and large weekends were already booked. He said that as far as the marketing aspect goes, they have already had good press to date. The slips were full for Tea Party and Jazz Festival weekends. The challenge was going to be marketing the Marina for dates that don’t have festivals. 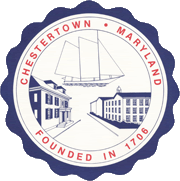 Mayor Cerino stated that the first thing the committee thought should be done is change the name of the Marina to the “Port of Chestertown”, which was an earlier suggestion of Mr. Stetson. Mayor Cerino stated that the committee also suggested a website specific to the Marina which would be linked to the Town website and Mayor Cerino stated that he would be willing to work with Ms. Sullivan to get the website page up and running. Main Street could be asked for cost-effective advertising ideas. A christening event could be scheduled for donors and the State and Federal agencies that funded the project and the Governor. Mayor Cerino stated that online slip registration systems were available, and he thought that a service called “Dockwa” would benefit the Town and Marina as people could schedule a slip online anytime. Mayor Cerino stated that after reviewing the dock layout showing the seasonal slip holders which left approximately 15 transient slips. He said that the travel lift should be in operation. Services that were offered should be added to the website, such as waste pump-outs, fuel, winter storage, boat launching, kayak launching, etc. Security was an issue and cameras were in place. It was important to have information available about the Town in the Interpretive Center. Mr. Ingersoll stated that a preliminary Marina budget was drawn up with known debt and projecting 80% capacity. He said that he thought it would be manageable but not if the Town hired an agency at $50,000.00 to run the Marina for them. He said that a for-profit firm may also make the property a taxable entity, whereas it was not taxable if the Town was running it. He said that a tax bill could be upwards of $25,000.00 per year. Mr. Ingersoll stated that office staff has drafted an outline of what was needed in a Marina manager and he said that he thought there was probably someone local who would be perfect for the job. He said that the Town already has an employee who would love to be the manager who was great with everything on the ground but did not have the total financial component required for the position. Mayor Cerino stated that at this point it would be difficult to tell how much debt would be paid by the end of this year. Mr. Stetson suggested a bonus tied to the manager for an incentive to work weekends and holidays. Mr. Ingersoll stated that while that was a good idea, it is his experience that at first people are excited to be working holidays and weekends, but it fizzled out after a bit. He said that the Town then had to scramble to find people who could handle the weekends to perform the management tasks, so he did not know if an incentive would work or not. Mr. Ingersoll stated that there was an online marina magazine who will film and promote the Marina for a reasonable fee. He said that this same gentleman came 5-years ago and made the Marina look like a great place to visit even then. He said that he required a free slip for a week and $450.00 to produce a representative picture of the Marina. Mayor Cerino stated that the Marina was a unique product in a unique town, and he did not think that it was going to be difficult to market. Ms. Kuiper stated that there was already a big article in the Shore Magazine. Mayor Cerino stated there were more coming, noting that SpinSheet was doing a big article too, and those magazines were free press. Mayor Cerino stated that in his experience most transient boaters want floating docks because the boat rises and falls with the tide without having to adjust the lines. He said that a buy boat group has already called and booked for July who were going to be offered slips at the fixed Cannon Street pier, leaving the floating docks for transient boats coming to see the buy boats. He said that the group wants to have a tent and live music on the plaza and turn the event into a mini downrigging. Mr. Foster stated that he, Rev. Tolliver and Mr. Stetson attended the Council of Governments meeting last Wednesday in Galena and said that they discussed the tax differential with the two (2) County Commissioners in attendance, Mr. Jacob and Mr. Mason. Mr. Foster stated that he and Chief Baker attended the Martin Luther King celebration in Rock Hall. Mr. Foster stated that he has received questions about the Marina and was glad for tonight’s discussion. He said that another question he is asked is when the roads will be paved. Ms. Kuiper stated that the Concert Series at Sumner Hall began on February 9th from 7 p.m. to 10 p.m. featuring Phil Dutton. Tickets were $20.00. Ms. Kuiper stated that there was a pothole in the road on the Fountain Park side of Park Row and asked that it be fixed. Mr. Ingersoll stated that he would have the Street Crew fix it with cold patch. Ms. Kuiper stated that she was still trying to find a Market Manager. The farmers have requested a meeting and said that she would like to hold it the first week in March at Town Hall. She said that the Farmers Market website needs to be revamped and she wanted to have the Garden Club at the meeting. She said that there were two (2) new vendors beginning in the market and one community agency that would like to be there year-round. A total of twenty (20) vendors have paid their contract fee to date. She said that she was aware of what the first six (6) months revenue should be and had some fixed expenses but would like to meet with Ms. Miller about what revenues and expenses were for the Fountain Park in 2018 to see if the Farmers Market can work with the Garden Club on ways to help with the grass. Ms. Kuiper stated that there are lights imbedded into a tree at Fountain Park and asked that someone cut them out. Mr. Stetson stated that four (4) of the incorporated towns were present at the Council of Governments meeting. The County Commissioners reported on the solar field PSC case, which the County Commissioners are against. The Upper Shore Regional Council, who promotes keeping the Upper Shore area rural, gave a presentation at the luncheon. Rev. Tolliver stated that there was much discussion at the Council of Governments meetings about agriculture and that industry. He said that Chestertown should be driving discussions about issues taking place in each town’s limits instead of activities outside of each of the town limits. He said that Mr. Stetson gives a good report on Chestertown at the COG meetings. Rev. Tolliver stated that there was an incident in Greensboro where a young man (and former resident of Chestertown) died while in police custody. He said that he and Chief Baker are working together to have strategies in place so something of this nature never occurs in Chestertown. Rev. Tolliver stated that he was organizing a Citizen’s Review Board and was recommending training in crisis intervention for the Chestertown Police Officers. Rev. Tolliver stated that the SHA has agreed to install a 4-way stop on Rt. 544 and Rt. 290 in Crumpton where a young woman was killed in an accident a couple months ago. He said that there was a new manager at SHA and thought he might be open to taking a second look at a reduction of speed on Quaker Neck Road (Rt. 289). Rev. Tolliver stated that he was excited to see that the Request for Proposals are now out for the Louisa D’A Carpenter Park. Rev. Tolliver stated that there were residents from his ward who asked to discuss parking issues on Cannon Street. Mr. Dan Menefee stated that he lived on the 500 block of Cannon Street and after the brick sidewalk work was completed on the 500 block of Cannon Street the no parking signs that had been in place were never reinstalled. Residents began to park on both sides of the street. He said that about a week ago the “no parking on this side of street” signs were reinstalled. Mr. Menefee stated that he received 34 signatures from 30 houses from the 400, 500 and 600 blocks of Cannon Street requesting that parking on both sides of the street be permitted and the newly installed signs be removed. He said that when the residents were parking on both sides of the street it slowed or calmed traffic. He said that there was parking permitted on both sides of College Avenue and said that road was even narrower than Cannon Street. Mayor Cerino asked if there were any residents who were not in favor of parking on both sides of the street. Mr. Menefee stated that there were 5 houses not in favor and there were some residents of Radcliffe Drive who have expressed issues gaining access to Cannon Street when there was parking on both sides of the street. Mr. Menefee stated that people are using Cannon Street to bypass traffic on High Street, and they do not adhere to the speed limit. He asked that the Council permit parking on both sides of Cannon Street with no-parking setbacks from the corner at Radcliffe Drive to alleviate concerns of the residents on that block. Chief Baker asked that there be enough clearance for emergency vehicles if there was parking permitted on both sides of the street. Mr. Menefee stated that there was a need for additional parking and suggested signs reading “no parking from here to corner”. Mr. Bob Miller stated that he invested in a house at 524 Cannon Street which did not have a driveway at the time the No Parking signs were not in place. He said that no parking signs on the street caused a hardship for his tenant. Mr. Ingersoll stated that the signs were historically in place and the street crew reinstalled the signs thinking that they were doing the right thing. 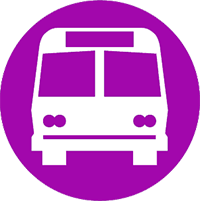 Mr. Miller stated that he used to be part of the National Transportation Research board in Montgomery County which had information that streets that permitted parking on both sides had fewer accidents than those that do not. He said that additional parked cars on a block slows traffic and this restricted parking causes problems for those who do not have a driveway, of which there were several on Cannon Street. Mayor Cerino stated that a compromise would be to allow parking on both sides of Cannon Street with limitations on parking at the corners to allow people to see when they are coming from Radcliffe Drive. Mr. Miller suggested lines on the sides of the road where parking was allowed. Mr. Ingersoll stated that signs worked best, especially when snow was on the ground covering the yellow painted curbs. He recommended that if parking was permitted on both sides it should begin with a trial basis on the length of the setbacks at the corners. Ms. Elizabeth Rowan, resident of 110 S. Kent Street, stated that she agreed that there should be parking on both sides of the street. She said that no parking signs being reinstalled has caused a problem in the evenings on South Kent Street when everyone is home because renters without driveways on Cannon Street are now parking on Kent Street. Ms. Rowan stated that there should be parking permitted on Radcliffe Drive as well. Mr. Ingersoll stated that parking was allowed on the right side of Radcliffe Drive but did not think that there were any tenants along that block to park there at this time. Rev. Tolliver moved to allow parking on both sides of Cannon Street with the details to be worked out by Mr. Ingersoll, was seconded by Mr. Foster and carried unanimously. There being no further business and no other questions or comments from the audience, Rev. Tolliver moved to adjourn the meeting at 10:00 p.m., was seconded by Mr. Foster and carried unanimously.